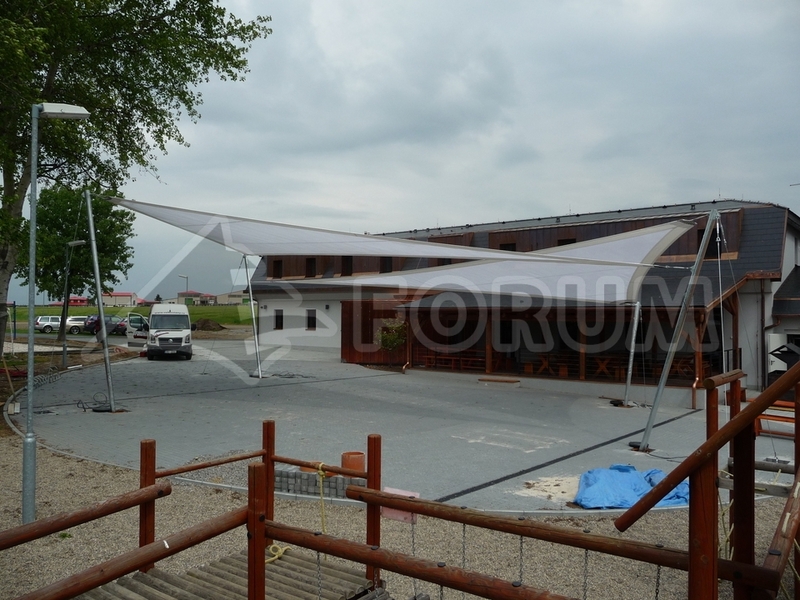 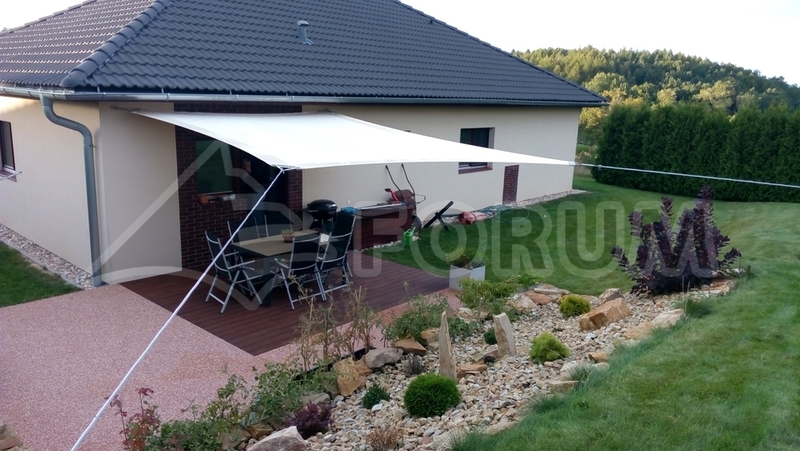 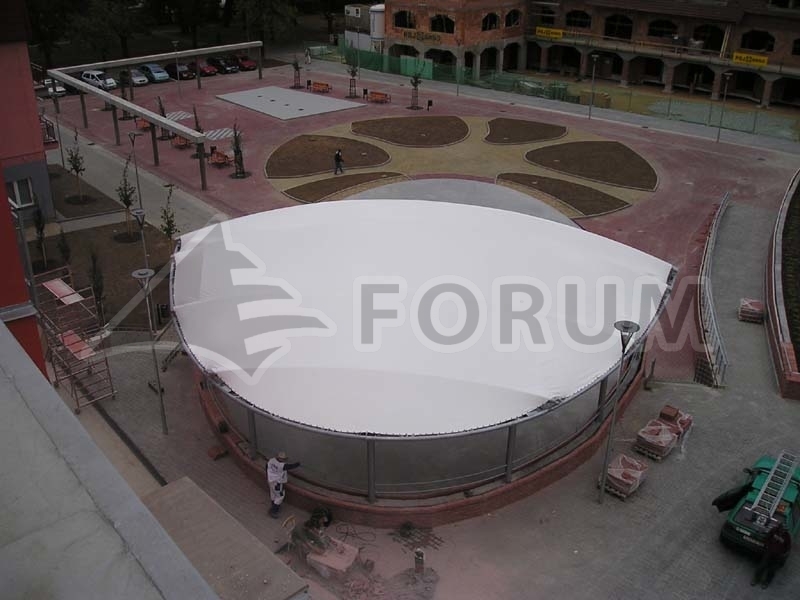 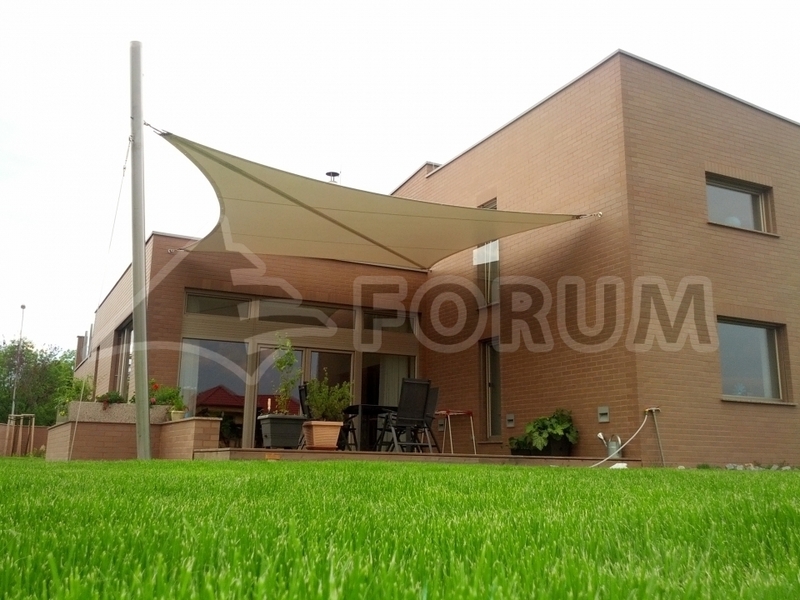 Forum OMEGA - design in architecture, is a variable modular system based on the principle of suspended membrane canvas roofs stretched by steel ropes. 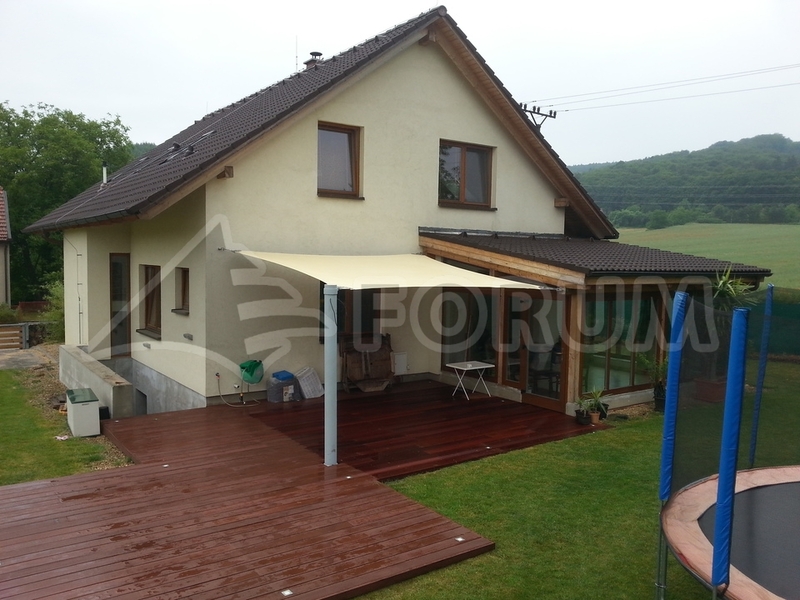 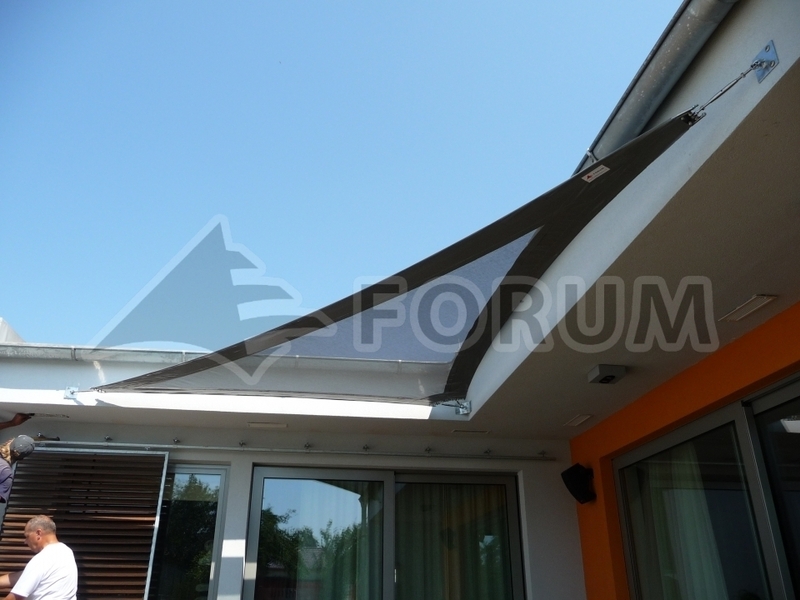 It provides for stylish and attractive roofing of detached areas as well as immediate proximity of buildings. 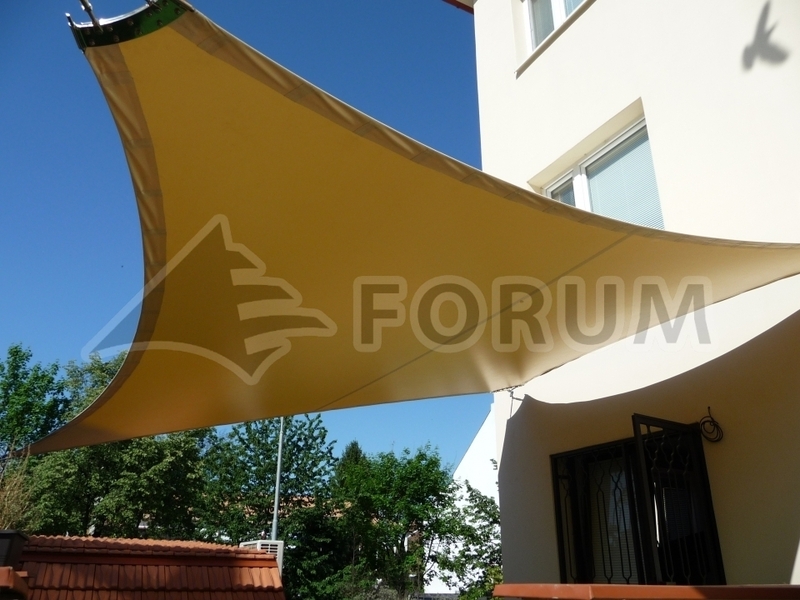 It serves especially as protection from sun, rain and wind. 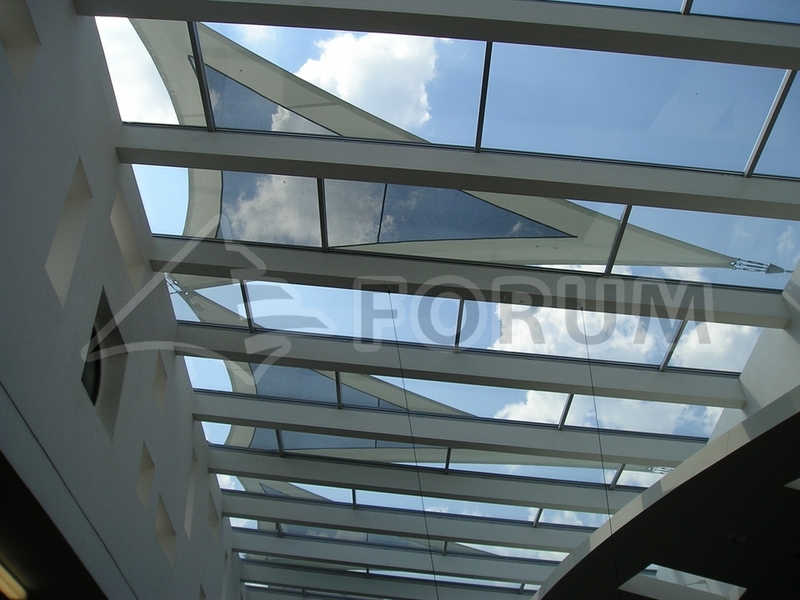 The system is made of resistant quality materials with long service life. 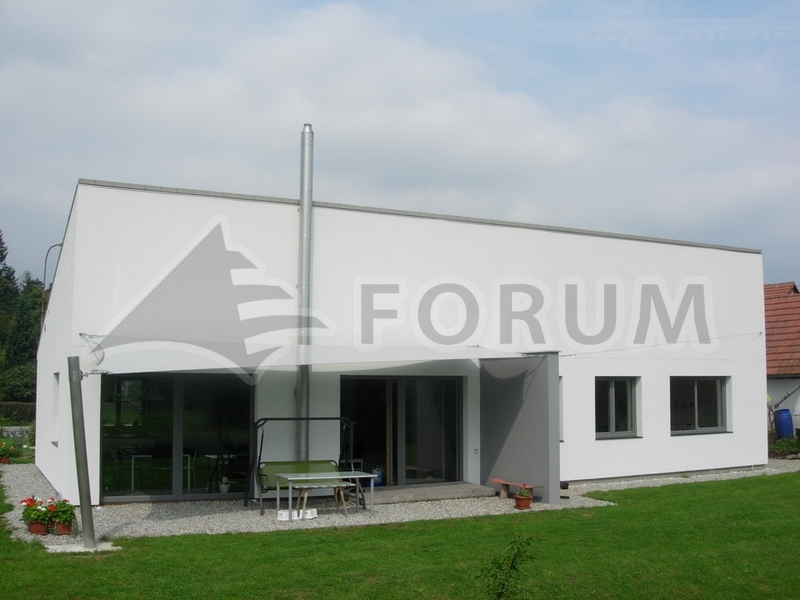 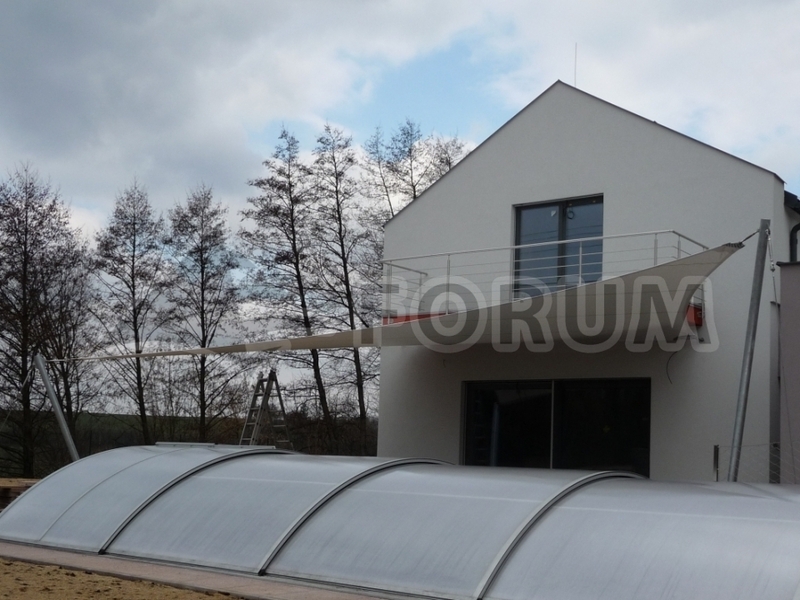 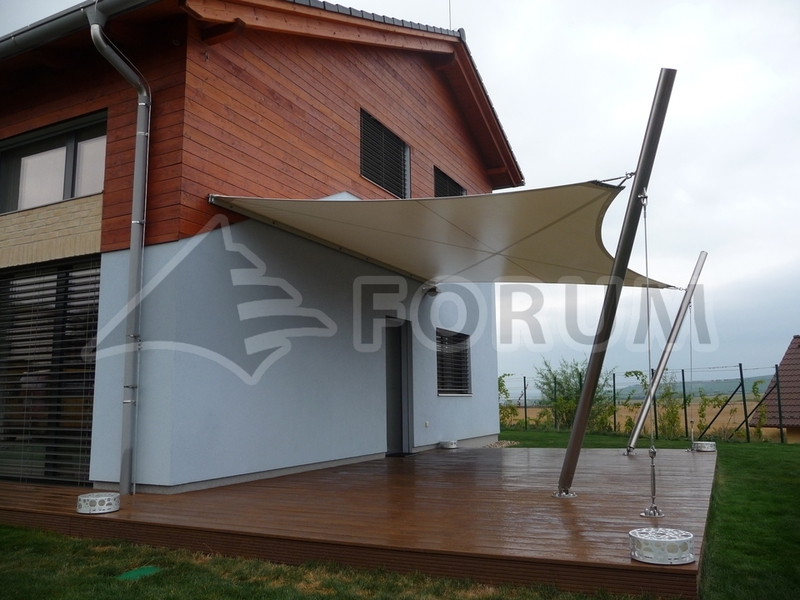 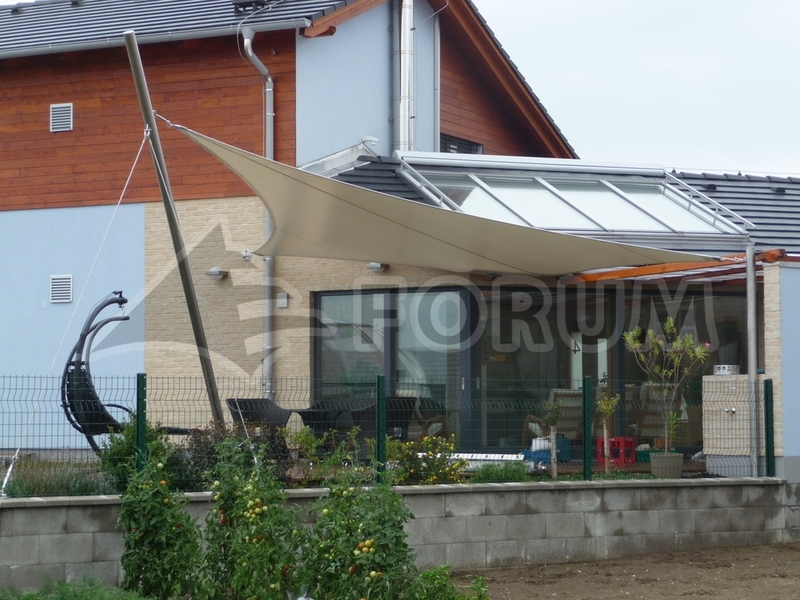 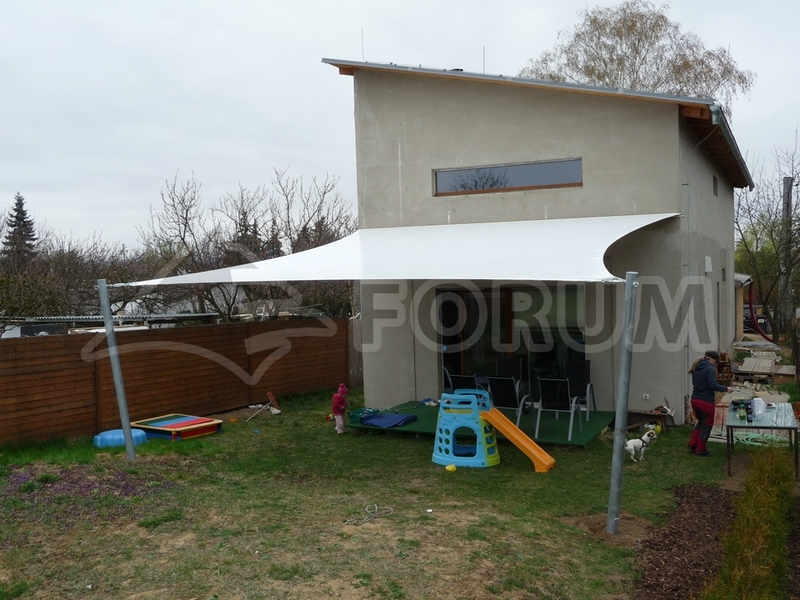 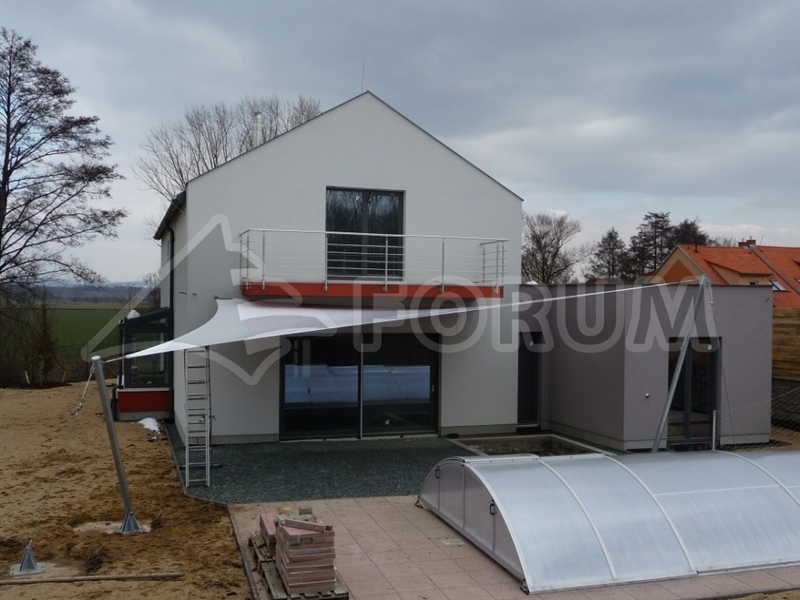 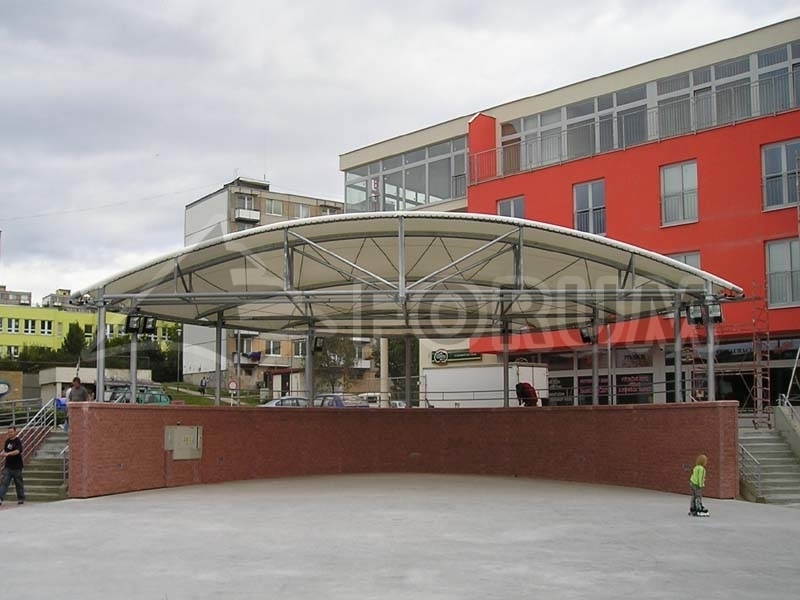 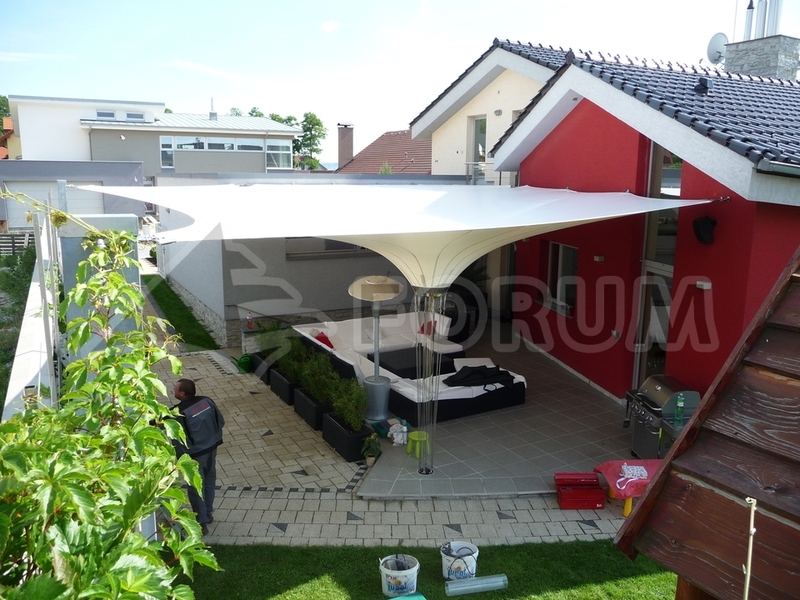 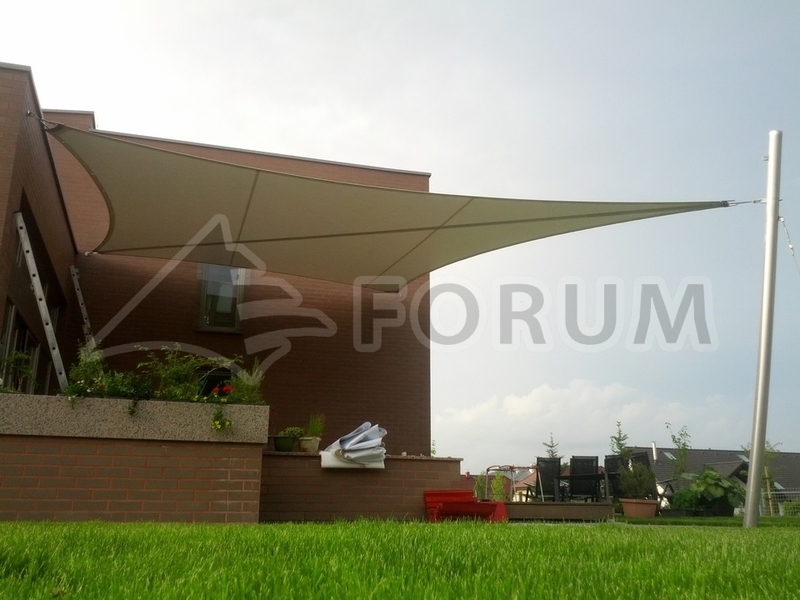 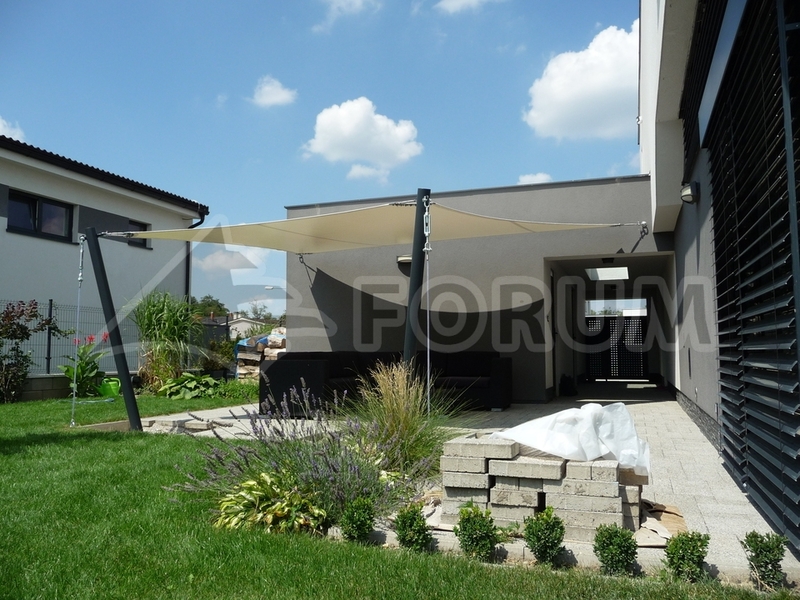 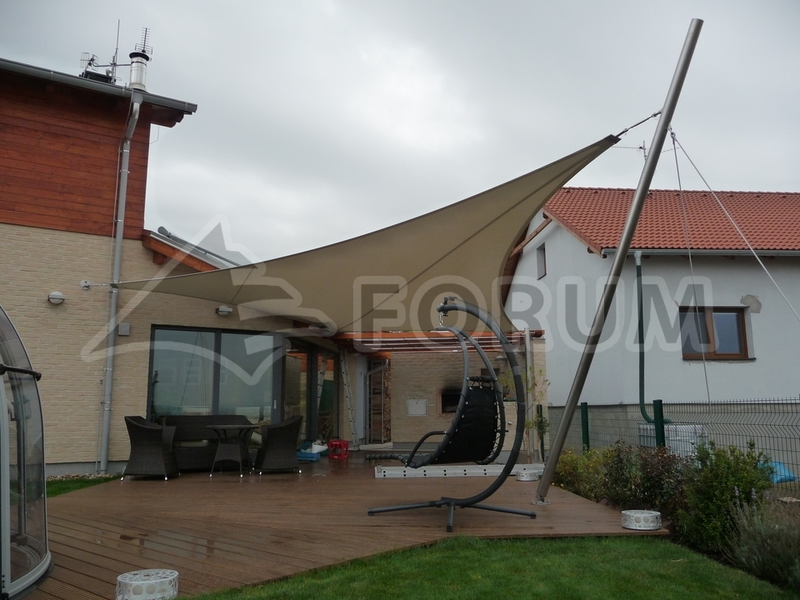 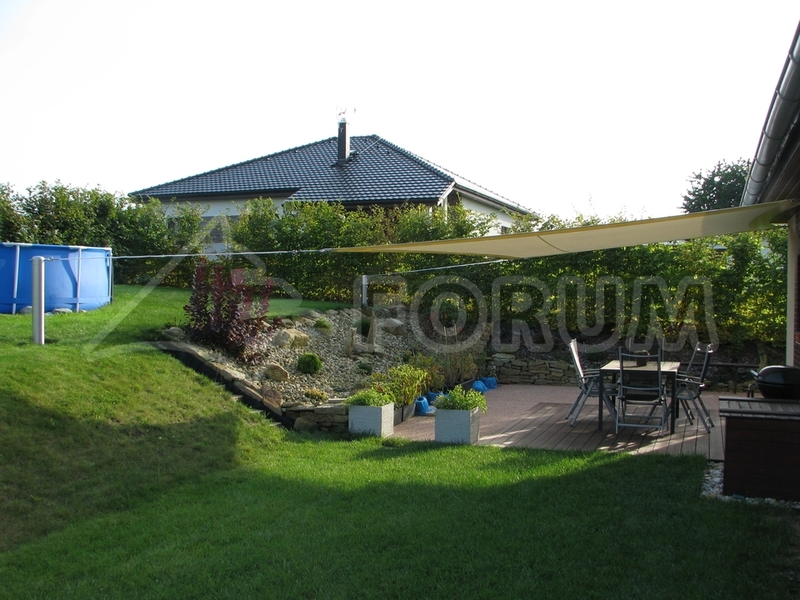 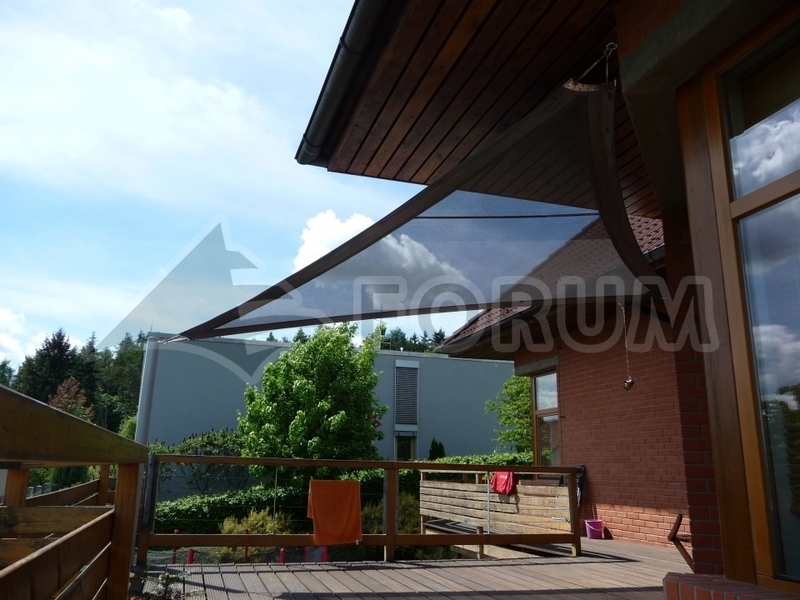 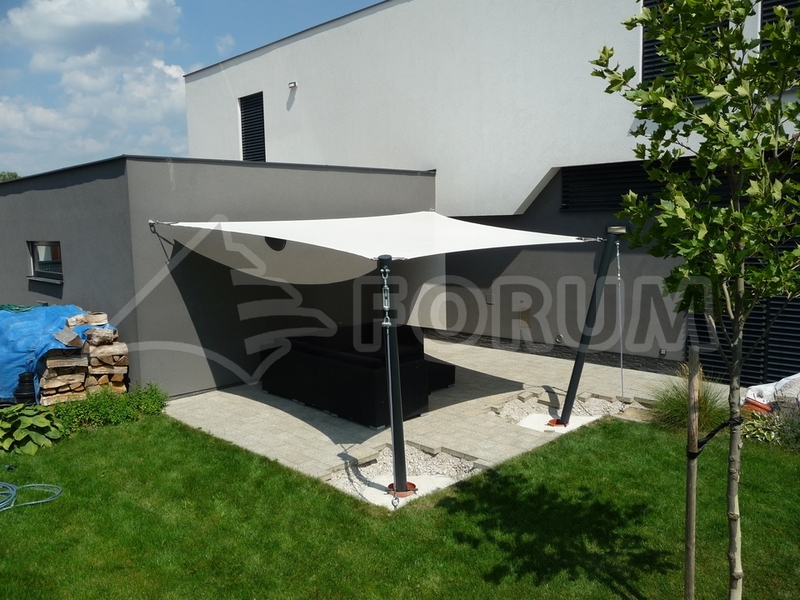 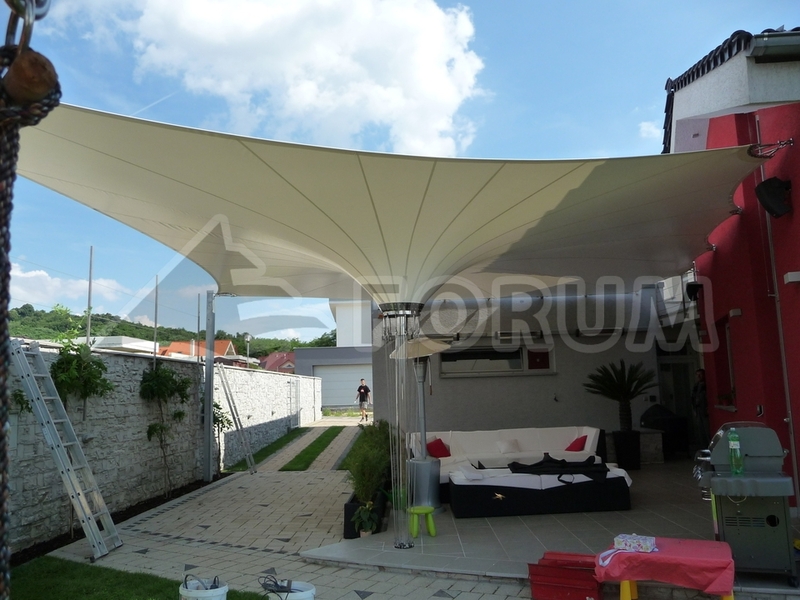 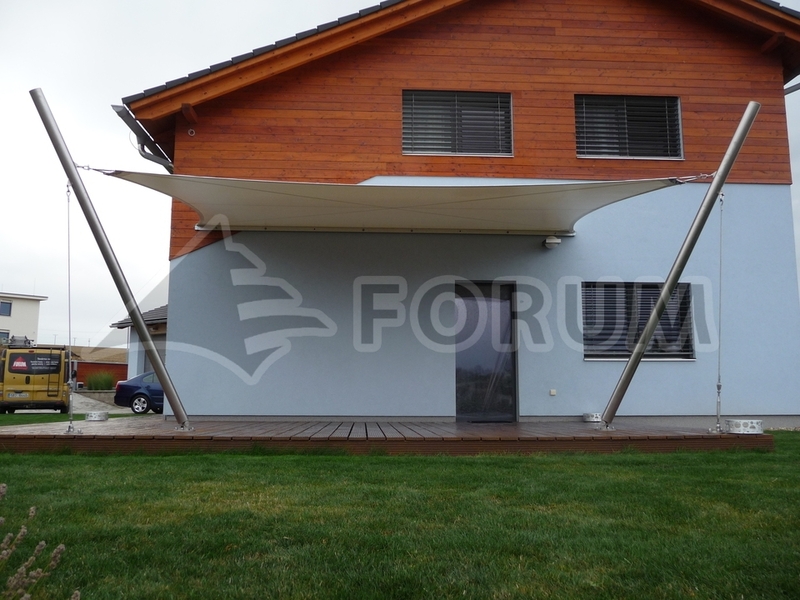 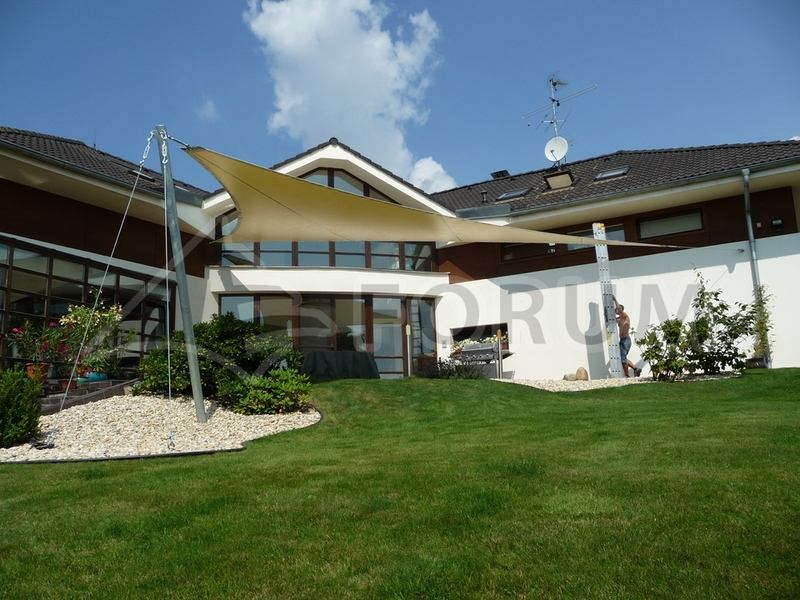 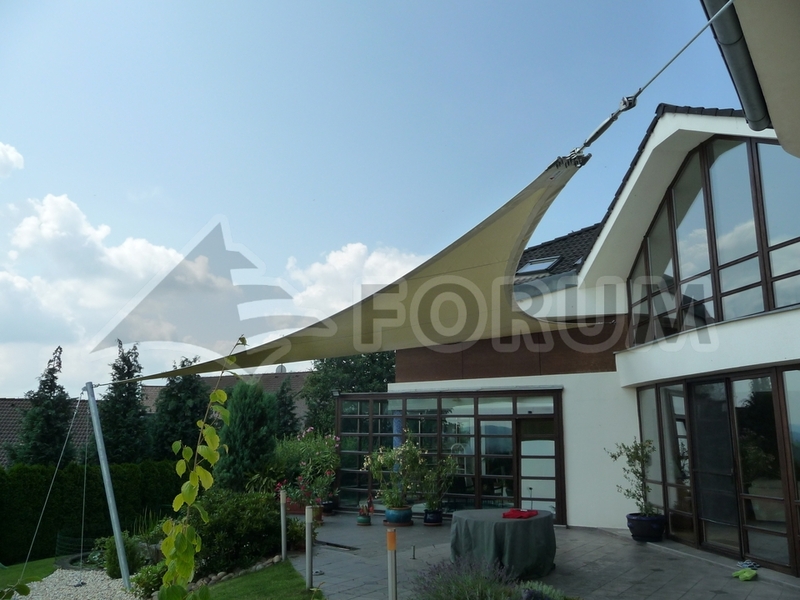 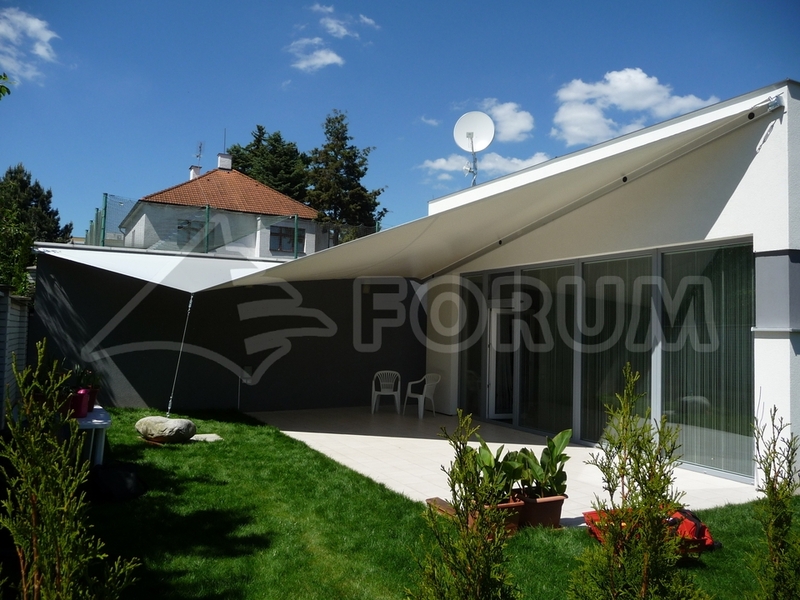 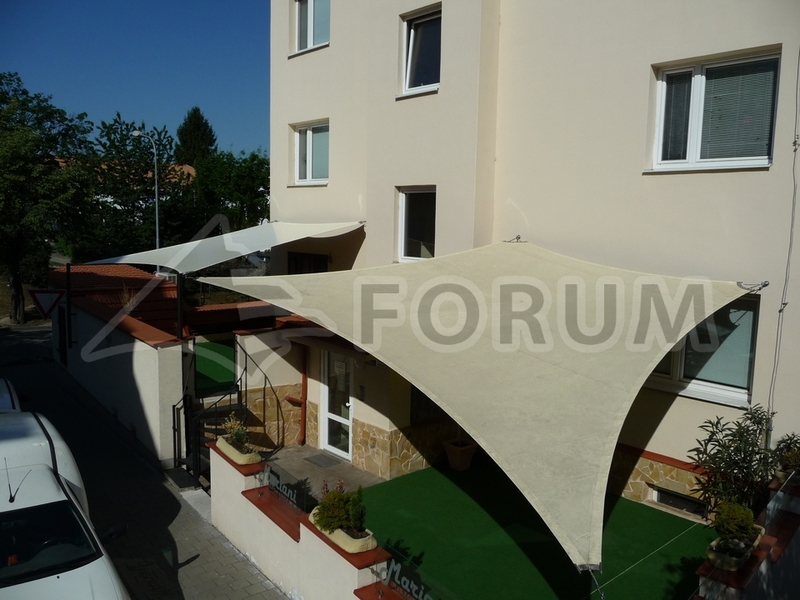 Flying roofs and suspended structures of the Forum Omega system provide for stylish and air roofing of detached areas as well as immediate proximity of buildings. 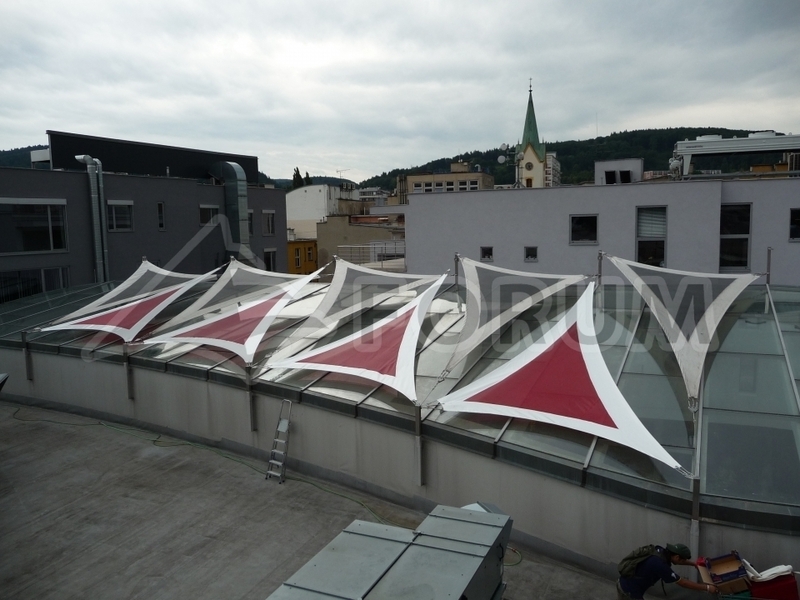 Thanks to their style and possible colour rendition, they can highlight architectonic lines of buildings and practically increase the value of adjacent areas. 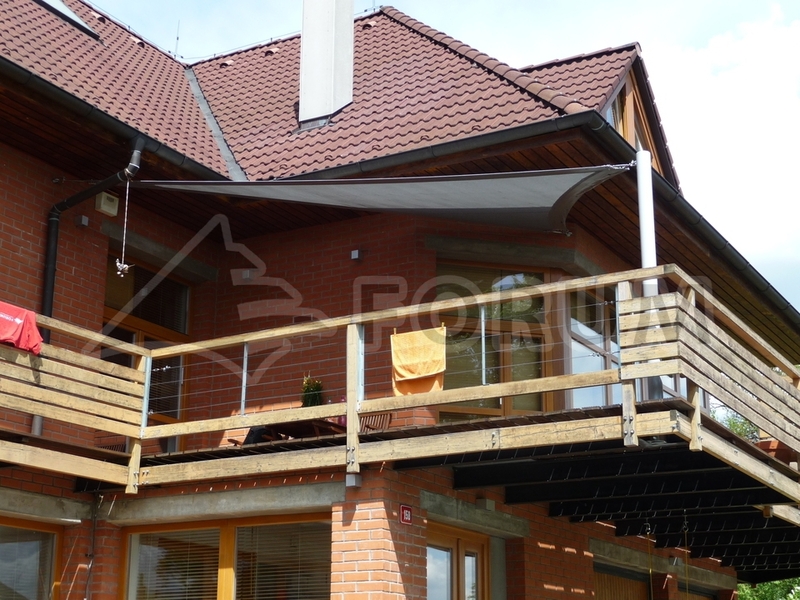 The structure comprises independent self-bearing columns or built-in consoles which are fixly connected to the ground or to the building. 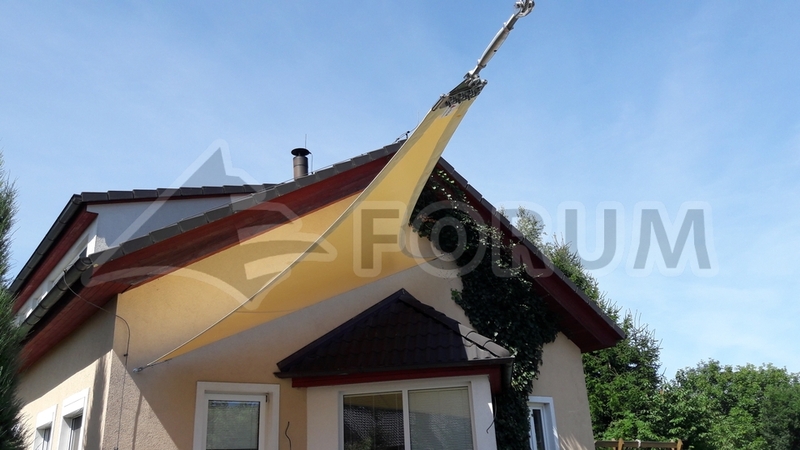 However, they may be dismountable in certain cases. 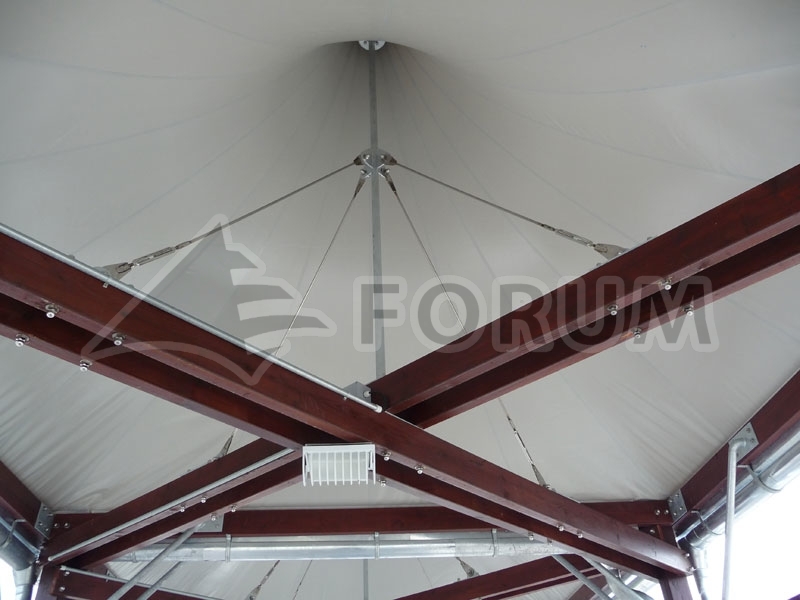 The roof is formed by PVC fabric stretched between the columns by means of steel ropes.This type of roofing guarantees resistance to weather conditions, colourfasteness and high strength. 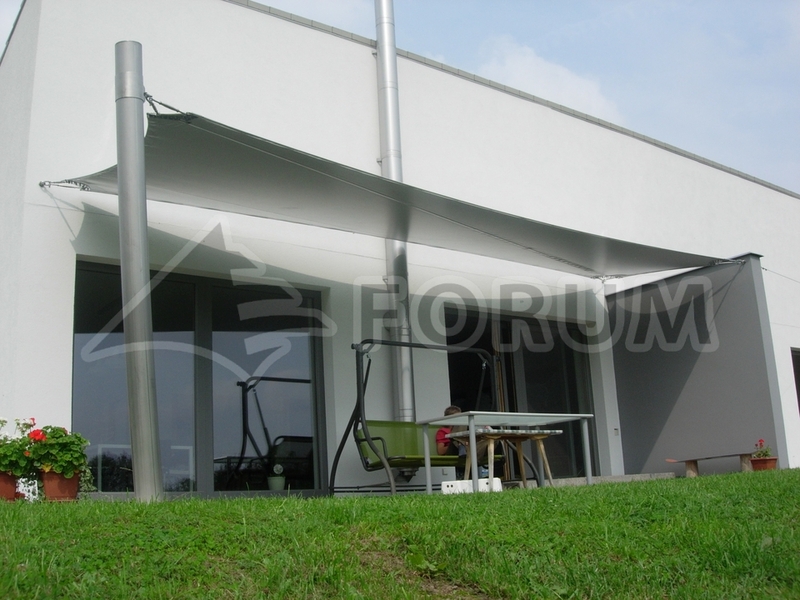 All these features allow to design attractive lines complementing modern architecture. 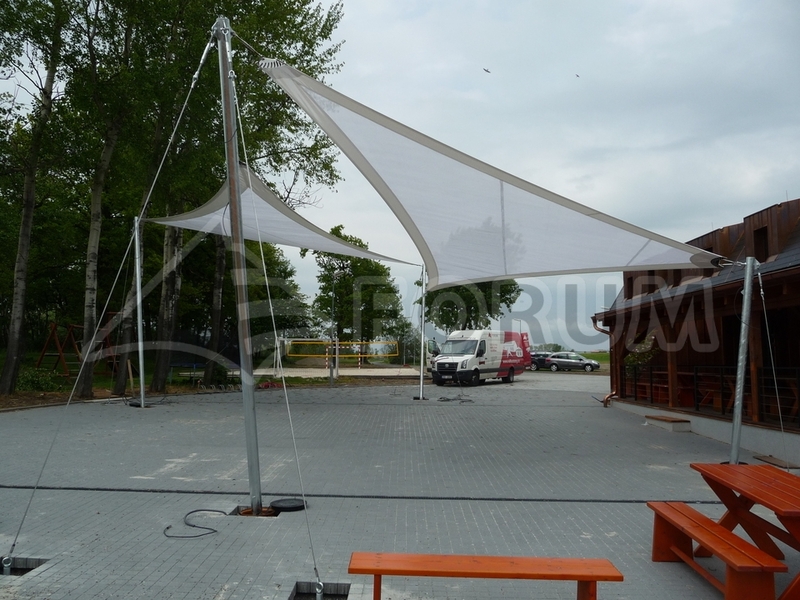 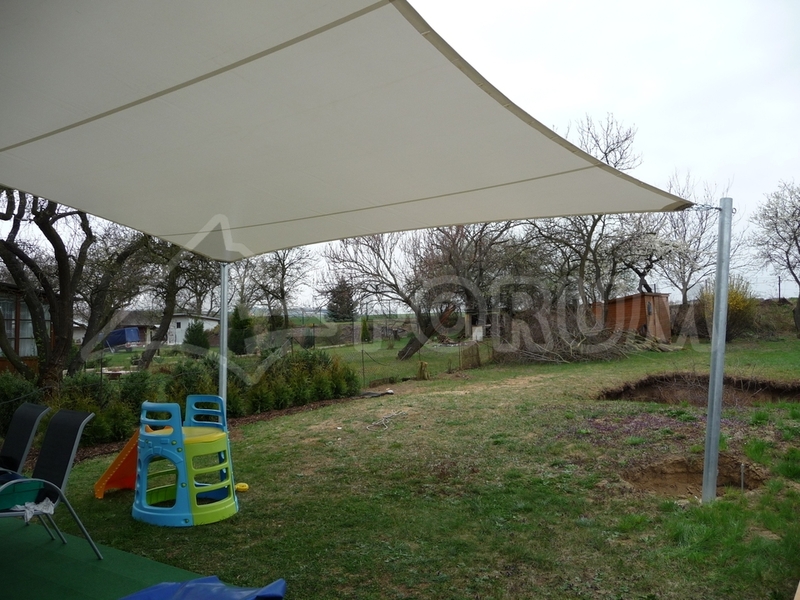 Sailcloth canvas is made of varnished PVC buil-up polyester fabric (heavy duty PVC tarpaulin) characterised by high strength and perfect resistance to climatic conditions and rain. 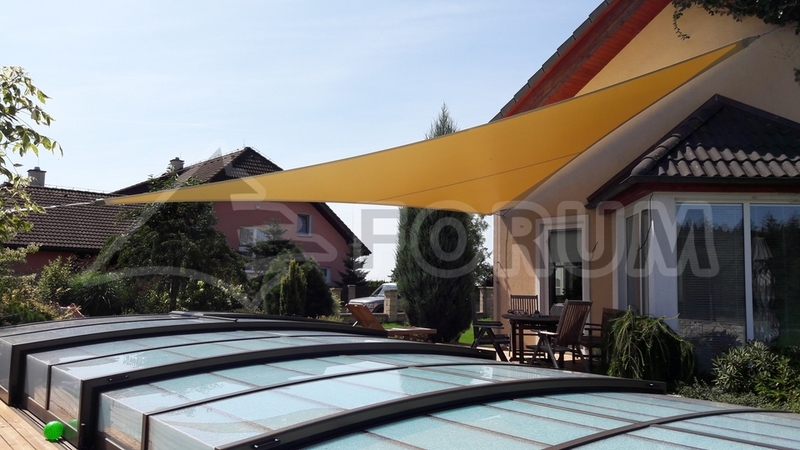 They guarantee good light penetrability and colourfastness. 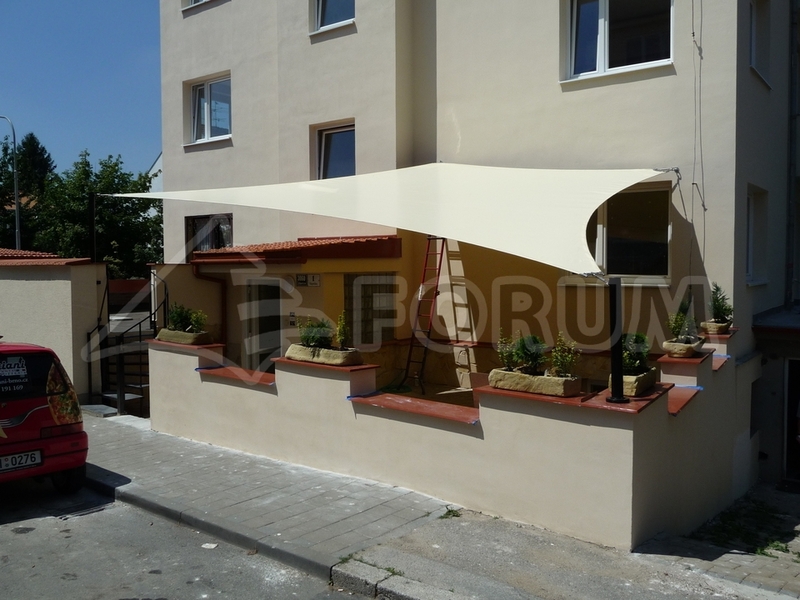 Service life of the canvas is approx. 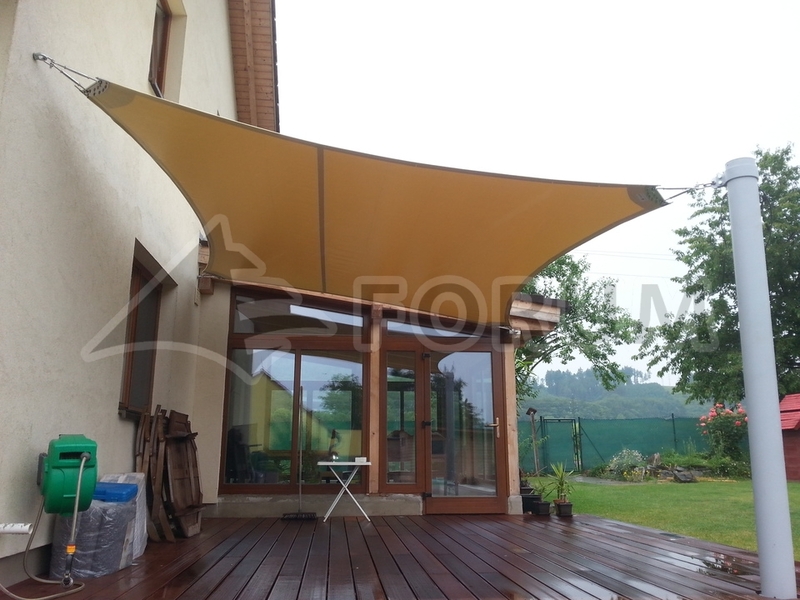 10 years; for top materials up to 25 years. 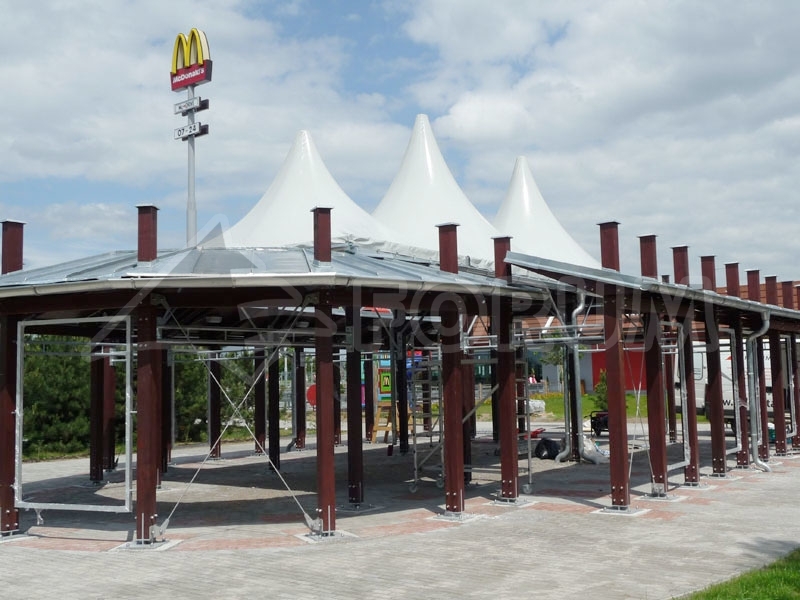 Service life of the structure is at least 30 years.